UBC Asian Canadian and Asian Migration Studies warmly invites you to a panel discussion and Q & A on documentary filmmaking with writer/director Cheuk Kwan and cinematographer Kwoi Gin. Selections from their award-winning documentary series Chinese Restaurants will be screened. All members of the UBC community and the general public are welcome. These films trace the lives of the Chinese Diaspora through a popular icon – the family-run Chinese restaurant. Follow Cheuk Kwan and Kwoi Gin as they take us around the world, visiting families in Argentina, Brazil, Canada, Cuba, India, Israel, Madagascar, Mauritius, Norway, Peru, South Africa, Trinidad and Tobago, and Turkey. These families share stories of struggles, migration, displacement, and belonging, giving us diverse perspectives on what it means to be “Chinese” today. Cheuk Kwan was born in Hong Kong and grew up in Singapore, Hong Kong and Japan. After earning his Master’s degree in Systems Engineering in the U.S., he immigrated to Canada in 1976 where he embarked upon a successful career in Information Technology. Kwan’s international and diasporic upbringing gave him an early start in world travel and opportunities to meet people from numerous countries – he speaks English, Japanese, French and several Chinese dialects. His engineering career later brought him to Europe, Saudi Arabia, and back to Japan and Hong Kong. In 1978, the community activist co-founded The Asianadian, a progressive and influential magazine dedicated to the promotion of Asian Canadian arts, culture and politics. It dealt with, among other issues, stereotypical representations of Asians in film and mass media. 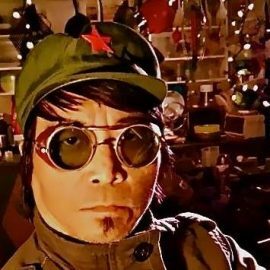 The following year, Kwan helped lead the Anti-W5 Campaign to fight against the racist portrayal of Chinese Canadians in the media. The nation-wide movement resulted in the founding of the Chinese Canadian National Council in 1980. 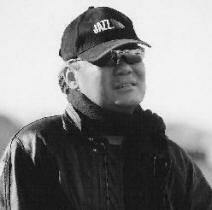 Kwan studied film production at New York University before establishing his own company, Tissa Films, in 1998. His five films from the Chinese Restaurants series – Song of the Exile, On the Islands, Three Continents, Latin Passions and Beyond Frontiers – bring together his personal experiences, love of food and travel, and appreciation of the Chinese diaspora culture worldwide. Kwan is based in Toronto and is currently executive director of the Harmony Movement, one of Ontario’s leading providers of diversity training, and equity, and inclusive education. KWOI is “Made in Hong Kong” & culturally disoriented in the Americas. This “model diaspora” has lost close friends, survived poverty, attended art school, read some books, ran the streets and lensed the world. His fortune cookie predicaments include making peace with the notion of living on the margins without borders, staking claims to a “paradise” with decent Chinese food, retiring as a gentleman of leisure with a mahjong parlor somewhere in the South Pacific and devoting himself to the art of meditative probability after celluloid art becomes obsolete. “Shchedryk” was nominated for best experimental film at last year’s “Female Eye” due to his non-gender specific name. He is currently “listenin to rawk ‘n rol” in collaboration with Paul Hoffert of 70’s Canadian rock band Lighthouse on “1921 – The War Against Music”. Story is rolling & music is divine. Two of his other collaborations will be premiering this coming October: “The Apology” in Busan & “The Year I Did Acid” in Dusseldorf. In the meantime, he is a free agent, living in his converted church/studio in Korean town with his chocolate lab, Bailey, and looking to go steady with anyone out there with a kickass script to shoot while looking forward to finishing post on Capital (金迷都), a no budget gay feature he shot in PRC, based on true events reflecting China’s coverups & hypocrisies. This event took place on September 28th at UBC St. John’s College.